Anthem is a master-planned community north of Phoenix that is composed of two diverse areas. Anthem Country Club is an elegant, guard-gated country club community that features single-family homes, many with views of The Persimmon and The Ironwood golf courses. Anthem Parkside is another golf course community with safe gated living and slightly more affordable homes, including some townhouses. Anthem features elegant homes with fabulous golf views, a small-town ambience and the serene luxury of gated access, plus endless recreational opportunities for all ages. 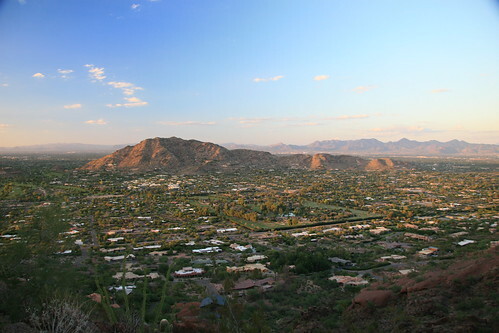 It's easy to see just why so many are flocking to Anthem to make a new home in this community. Residents of all ages take advantage of activities available at the community center in Anthem. This center boasts full-court indoor basketball, a three-story rock climbing wall, state-of-the-art fitness facilities, acting and music classes and much more. The community also features the Big Splash Water Park for plenty of outdoor fun for the whole family. This Del Webb community also features seemingly endless golfing opportunities. Anthem boasts a number of state-of-the-art golf courses, including The Persimmon and The Ironwood. These courses were specially designed by Greg Nash, and cover more than 7,200 yards of land each. Golf Digest has ranked The Persimmon among the best courses in Arizona, and Desert Golf magazine gave Anthem the title of 10th Best Private Course in the Valley.